This is a hard one! 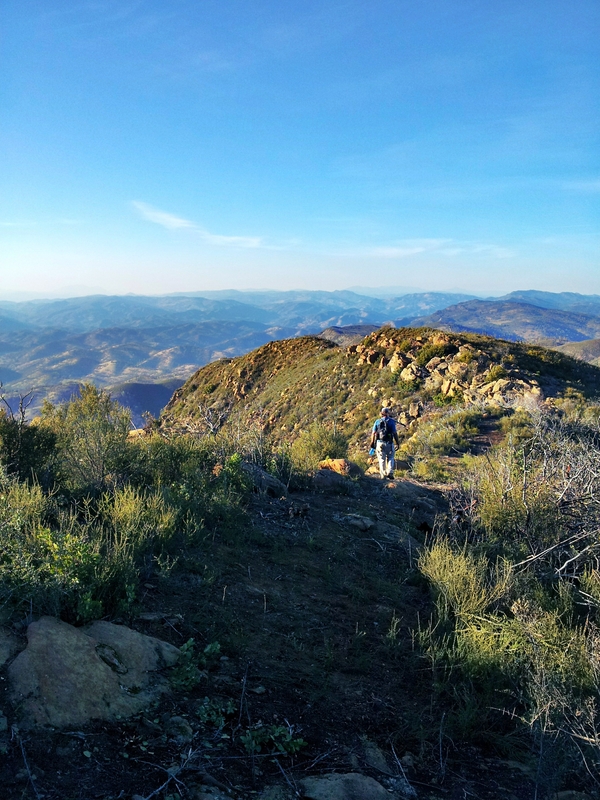 To reach the summit of Berryessa Peak, you will hike approximately 7.25 miles, one way, with 3500-feet of elevation gain. 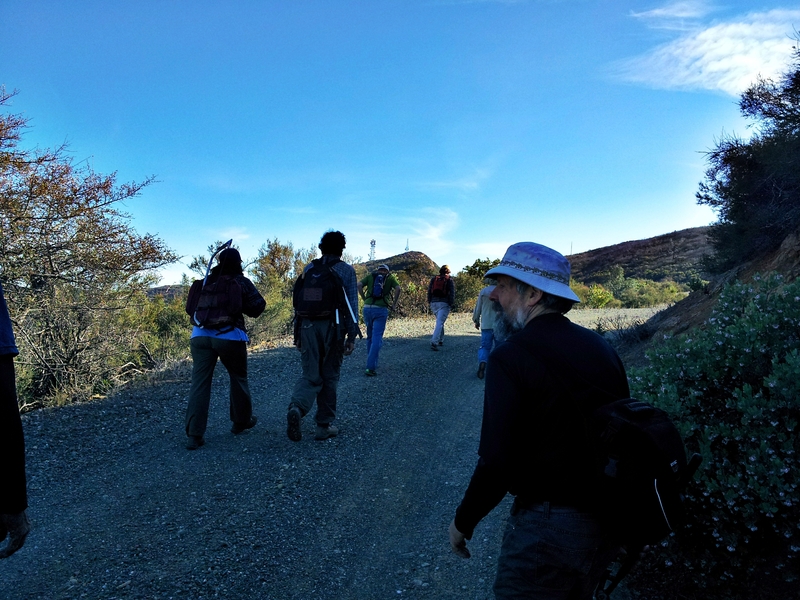 There is only one way in and one way out of the public lands this trail provides access to, so bring enough water, food, and emergency medical supplies. If you pass off the public land, you will be trespassing, so use your map and GPS and stay on the trail! 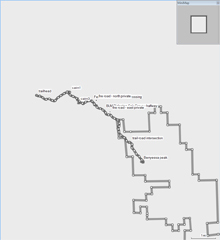 The downloadable map shows property boundaries and the trail location, as well as images from along the trail to use as reference. 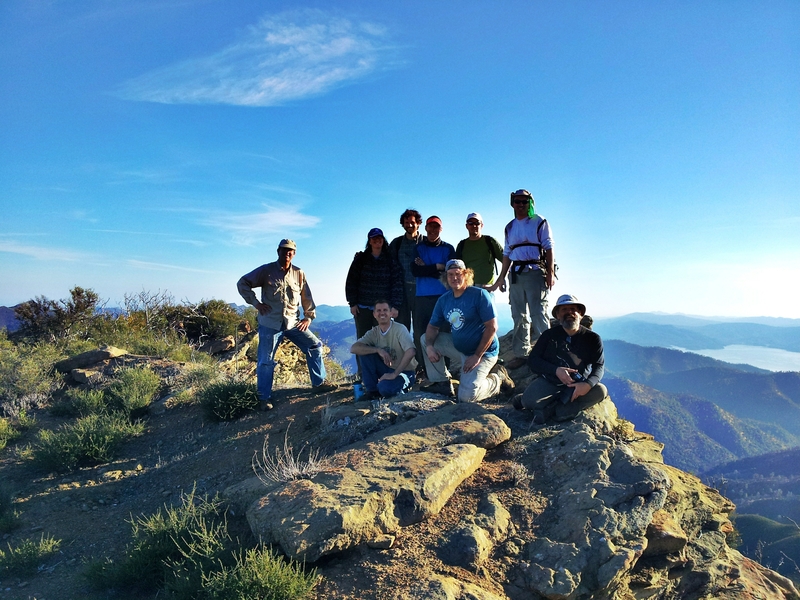 Only those in excellent physical shape should attempt to reach the summit of Berryessa Peak! THIS IS NOT A SUMMER HIKE! You will start from Knoxville Road, at mile marker 20.00. The trail is on the east side of the road. Cross over the smooth-wire fence and head east, up the canyon on an old ranch road (now a trail). 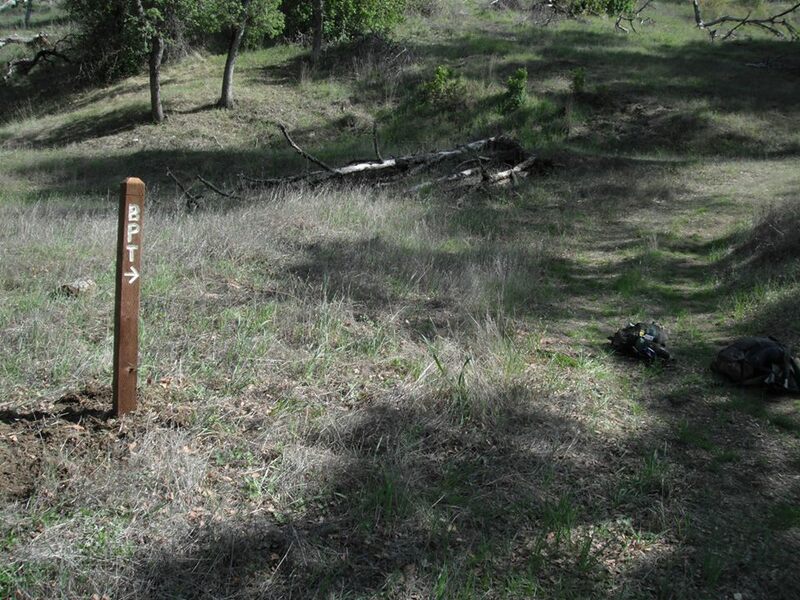 After 1.6 miles, you will see a 4x4 trail marker at an intersection of the ranch road you are on, and another road that climbs up a hill to the south. Turn and take the old road to the south. Continue on this road. After approximately 1 mile you will see the last 4x4 trail marker that marks the transition to the beginning of a steeper climb. 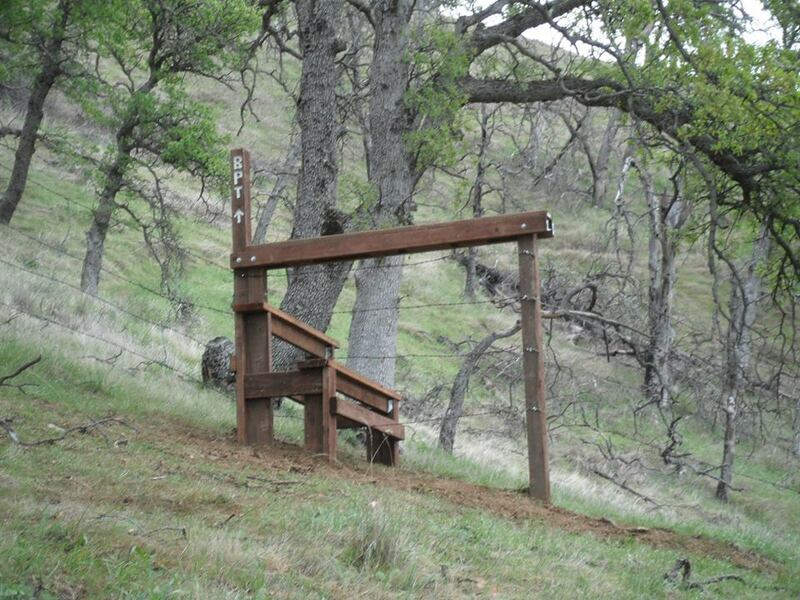 After an additional half-mile, which includes the steepest sections of the entire trail, you will arrive at a fence. To the east (the direction of the ridge) you will see a sign that says, 'Hartwig Ranch - Keep Out'. Cross over the fence south of the sign, using the wooden stile. The fence crossing south of the 'keep out' sign is allowable due to an easement granted for the trail by the property owners to the south of the fence. The trail continues past this point as a foot path. 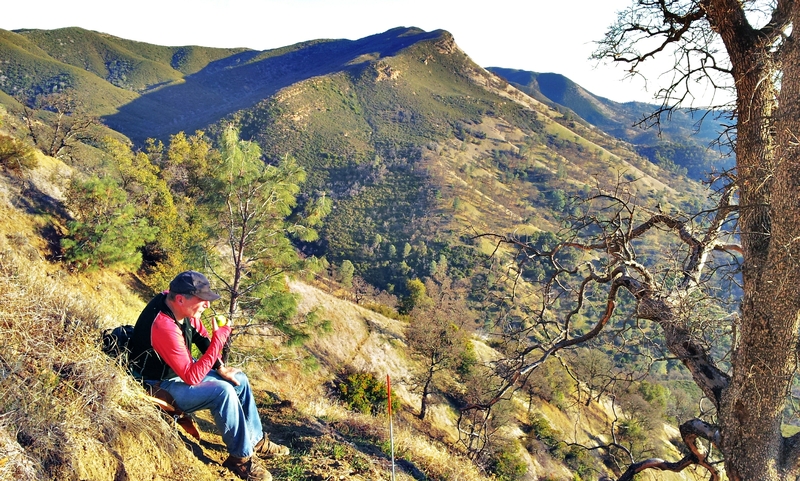 If you opt to only go halfway, there is a nice picnic spot on the ridge slightly less than one mile from the easement fence crossing. You can get to the ridge by climbing up a small draw. Look for a grove of oaks and pines to mark the site. 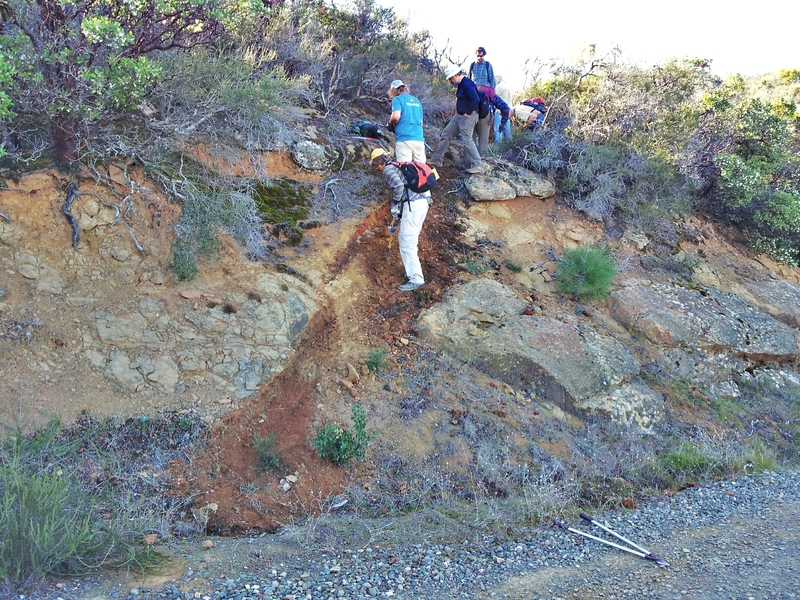 This is as high as this section of trail will get to the ridge proper. Continue on the trail as it begins to drop, slowly, into Green Canyon. Along the way you will see some gorgeous palisades. These are on the private Ahmann parcel so stay on the trail. Once you are at the bottom of Green Canyon you will have passed onto BLM public lands and will remain on BLM for the rest of the hike. 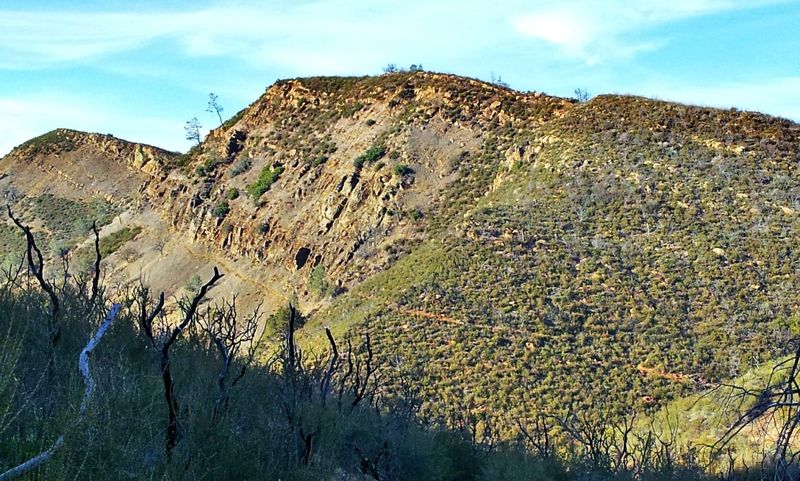 The trail climbs out of Green Canyon, crosses another small drainage, then begins to again climb to the ridge. After 1.5 miles you will find the end of the hiking portion of the route at an intersection with a gravel service road. 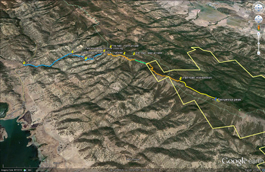 Continue south on the service road for another 1.2 miles to the summit of Berryessa Peak and the transmitter towers.. 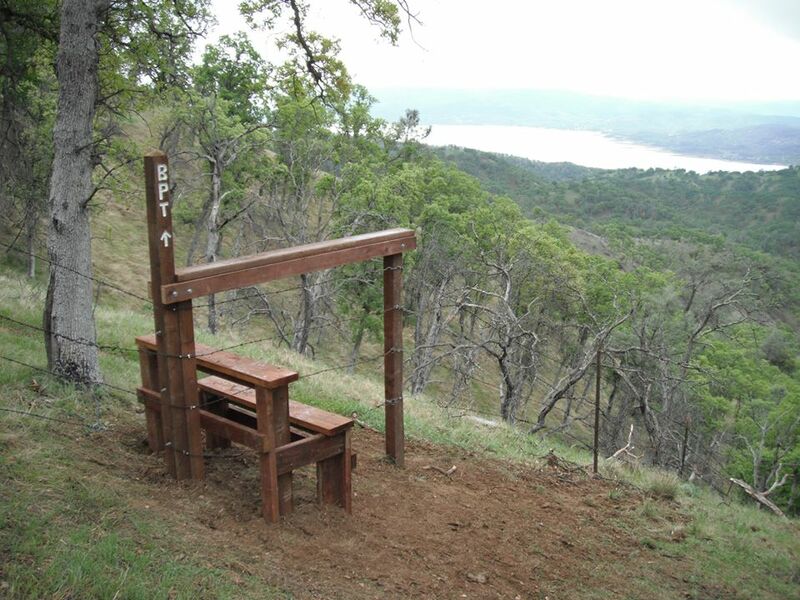 Distance: The entire hike is about 14.5 miles, out and back to and from Berryessa peak. If you only go to the midway point on the ridge on BLM land, the distance is about half of that. From Yolo County, take Highway 128 toward Lake Berryessa. Turn right at the 128/121 intersection, staying on 128. At the Turtle Rock bar, turn right again onto Berryessa/Knoxville road. 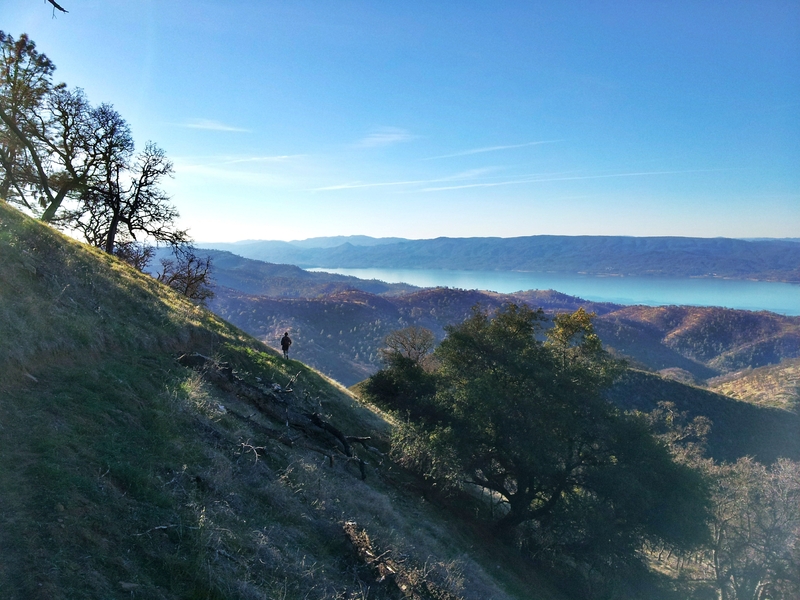 Continue on Berryessa/Knoxville, past the lake, over both the Pope Creek and Putah Creek bridges at the North end of the lake, and up into the mountains beyond. The road will narrow and roughen after you pass Lake Berryessa and are driving on Knoxville Road. Park on the side of the road at Mile Marker 20.00 on Knoxville Road. The trail begins on the east side of the road. This hike starts within a 12,575-acre part of the Knoxville State Wildlife Area and continues through a a public trail easement on private land, ending on Bureau of Land Management public land.